Doggy Playcare is a Dog Daycare and Training Center in Saratoga Springs NY! 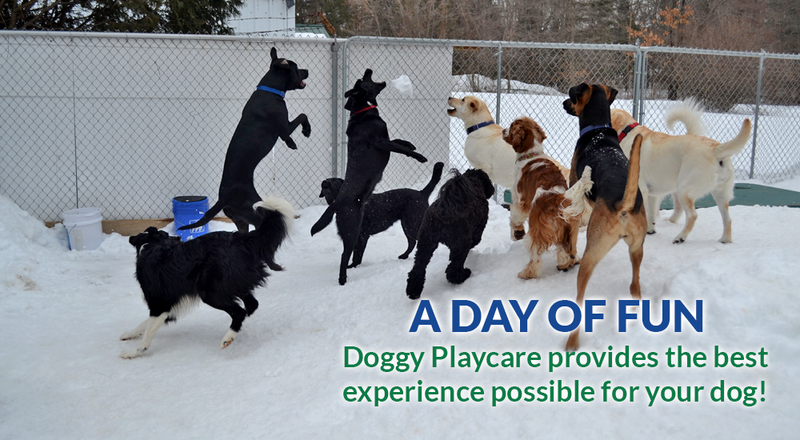 Doggy Playcare is an indoor/outdoor daycare facility in which the dogs are cared for and supervised located on Maple Avenue in Saratoga Springs, NY. With approximately 6,000 square feet of fun space, Playcare dogs are allowed to play with other dogs and humans all day! We also offer group and private training classes designed to give you the tools to become the owner of a balanced dog. Doggy Playcare provides an experience that dogs LOVE! 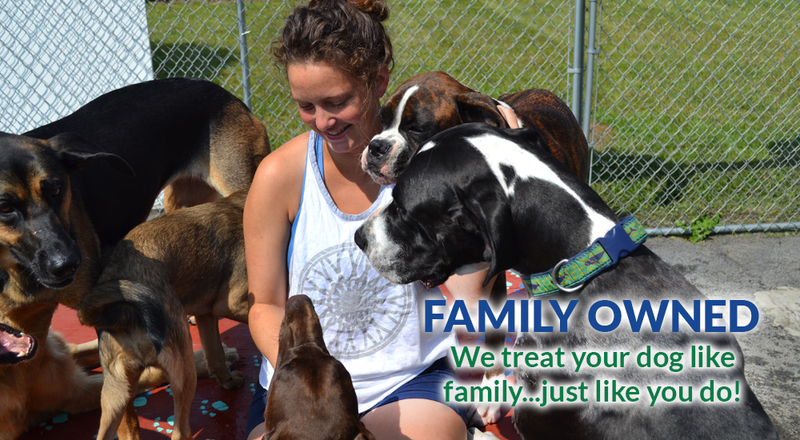 Visit our doggy daycare or training information pages to learn more or give us a call at 518-886-8876 to schedule a meet and greet or sign up for a dog training class today! Doggy Playcare in Saratoga Springs, provides a safe, loving and fun environment for your dog while you are at work. Strengthen the bond between you and your dog using positive training techniques and the 10 Playcare games! 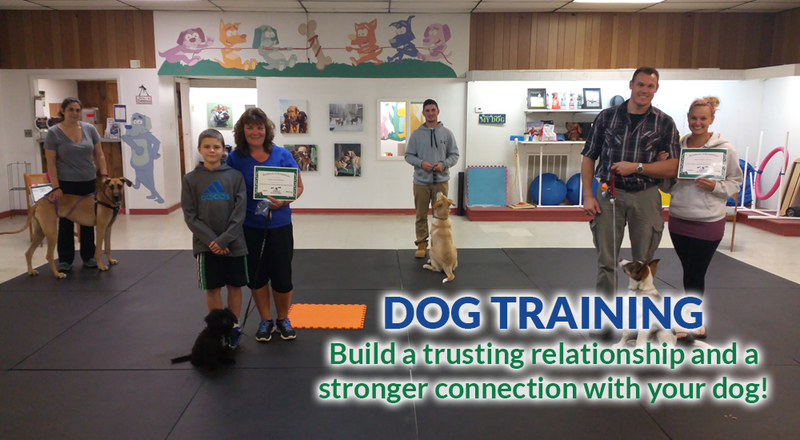 See what makes Doggy Playcare a top dog training center in Saratoga Springs! Read our training success stories.